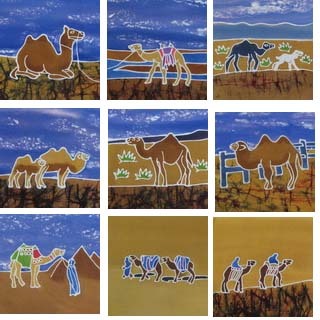 Nine camel panels (6x6 inches) with 9 different scenes. Indonesian batik on cotton fabric. Each are done by hand.